Your voice can make a difference. You can provide a platform for a victim of trafficking who thinks the world has forgotten her. Your voice can join hundreds of others and drown out racism. You can help ensure refugees are properly supported and welcomed into Irish society. Be kept informed of our work and opportunities to engage with us. 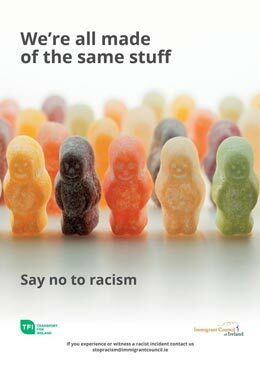 Racism is a sad but lived reality in Ireland, affecting a person’s well-being, safety and health. We want to make it clear Ireland says no to hate and develop solutions to end racism. Report an incident, send us an email stopracism@immigrantcouncil.ie. The Immigrant Council of Ireland provides its services including its helpline and independent legal advice absolutely free of charge. Very often we are the last port of call for people who have been through harrowing experiences and have nowhere else to turn. 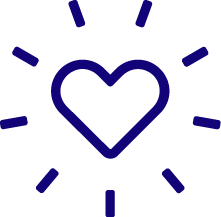 Would you like to support us to maintain services and provide a crucial, independent voice to advocate for migrant rights? Take part in a sponsored event – if you are running a marathon, climbing a mountain, holding a coffee morning and you would like to support us, let us know! We will provide branded materials, information on the organisation and will support your fundraising efforts any way we can. Get involved, contact admin@immigrantcouncil.ie. We could not achieve everything we do without the support of volunteers. We are always looking for volunteers to help out on our information line. You might also help run an event or support one of our teams. If you are interested in volunteering with us please email Ailbhe detailing your interests and experience. Become a Volunteer, contact admin@immigrantcouncil.ie.